Here is the outline of our program and the line-up of One Caucasus 2018 International Festival. Note: many activities that will be presented at One Caucasus are being created specially for the Festival by our educators, artists, architects and musicians now. 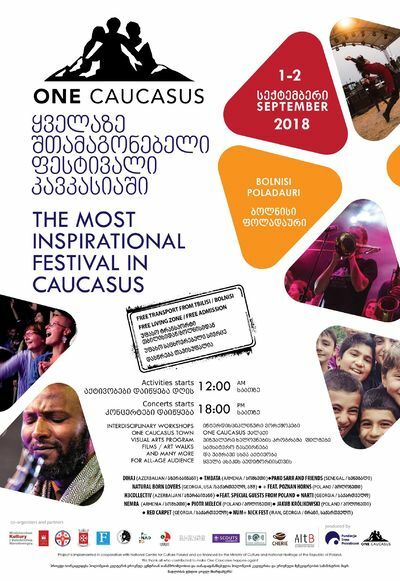 We invite you to join us on 1st and 2nd September for the only event in Caucasus like this with Free Entrance, Free Transport (from Tbilisi , Bolnisi and Marneuli) on each day and Free Living zone (camping). How to get involved ?